Luna Stones | Featuring Kris Grover - Artist/Owner of Luna Fiber Artist Co.
Today I'm featuring Luna Stones by artist and owner of Luna Fiber Artist Co., Kris Grover! 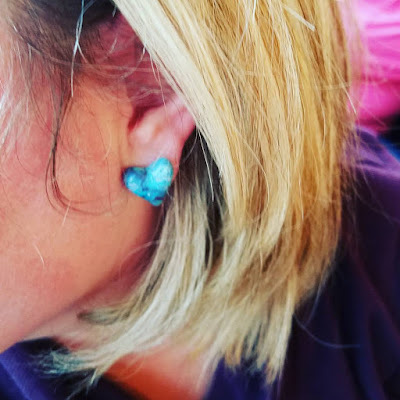 Kris is a super talented artist who typically works with acrylic paint, fiber, & torn-paper on canvas or panel, but she's recently added jewelry to her repertoire. 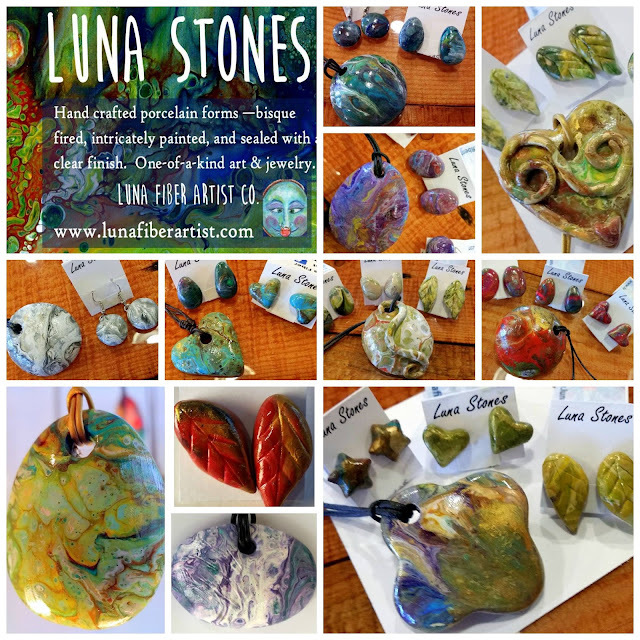 She refers to her latest work as Luna Stones and they're delightful! They take on Kris's abstract painting style and joyful demeanor. 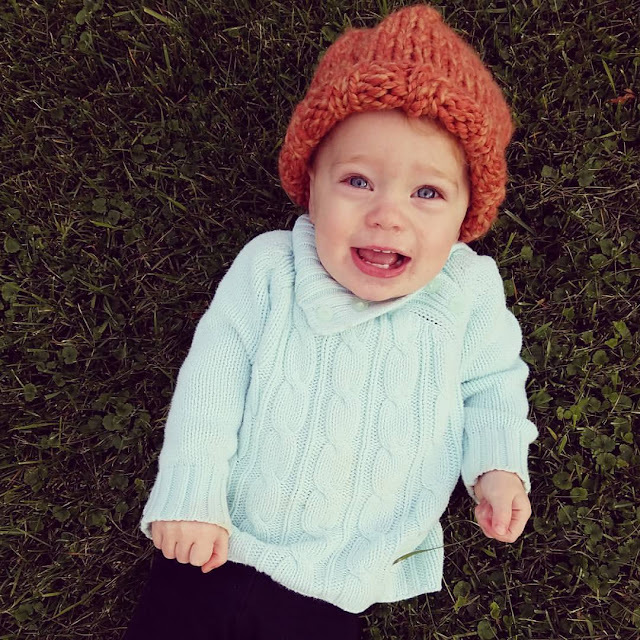 You can really tell she has a lot of fun creating these and you'll have fun wearing them! I absolutely love the pair of heart-shaped Luna Stones that I bought from her at Wining with the Arts a couple of weeks ago. I love that they're light weight but substantial, super fun, colorful, and affordable! These little gems are in away a collaboration between Kris and another local artist. Kris worked with Linda Sulzdorf of Madwoman Pottery to design and create porcelain stones that she then hand-painted in her Luna Fiber Artist style. 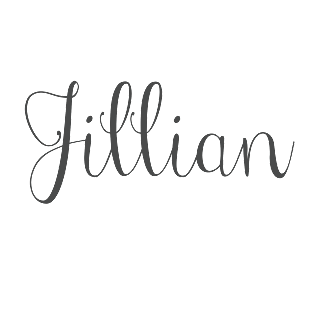 She's created beautiful necklaces and earrings that are all intricately and individually painted making each one-of-a-kind. You know how I feel about one-of-a-kind! Luna Stones will make awesome gifts and perfect stocking stuffers, so make sure you get an extra pair or two for a friend! I was lucky to see Kris's initial launch of Luna Stones in person at Wining with the Arts, but for a limited time you can buy them directly from Kris over at her facebook event and art sale. Find out more information and order from her directly during the month of November by clicking here! You can find out more info on Kris's artwork over at LunaFiberArtist.com and on facebook! THREE GIFT GIVING IDEAS THAT WON'T BREAK THE BANK. Hi, folks! It's that time of year again when people try to think of something unique for holiday gifts and I'm here to help! OBVIOUSLY, I'm a huge supporter of shopping local. When you can shop local you are supporting the people in your community directly. If that person then supports local, and so on and so on, you've got yourself one awesome thriving community! One great local gift idea would be to support one or several of your local artists! (uuhhhmmmm, I'm not just saying this because I am an artist! 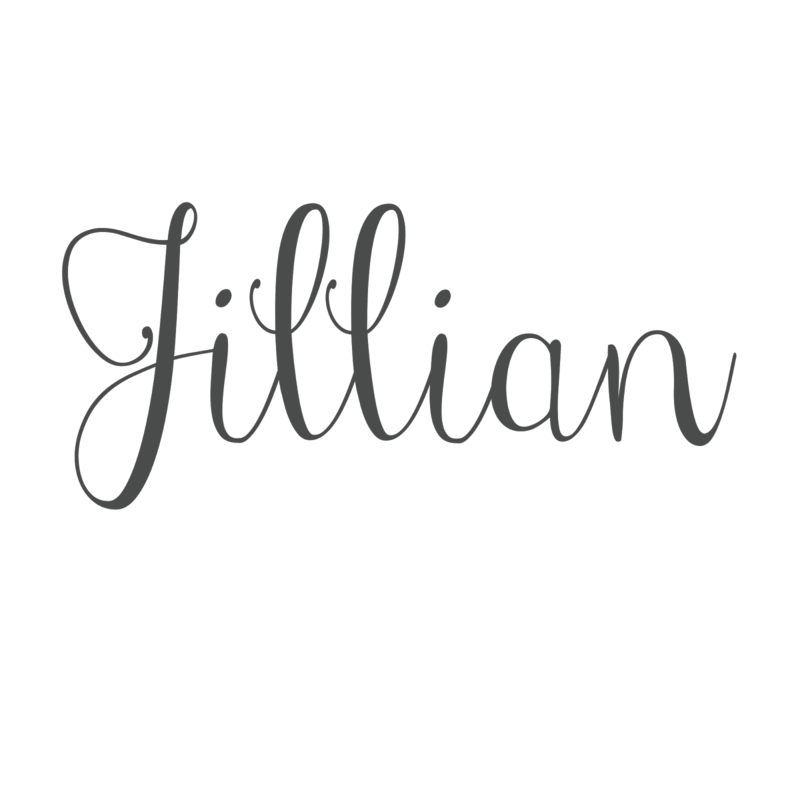 Of course, I welcome any of your art gifting inquires.♥) Seriously though, I love art and appreciate receiving and giving art as gifts as much as the next person! 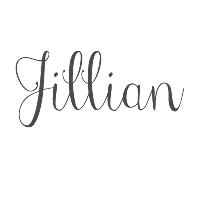 At galleries, farmers markets, shops, art fairs, or holiday markets, I often stock up on handmade things that I LOVE, because I know they'll make great gifts! BONUS--- you can find ART in every price range! ... I already gifted this adorable handmade hat to sweet Emmajean, but you can find one similar at the Left Bank Shop and Gallery in McGregor, IA! This would be an absolutely awesome stocking stuffer! I definitely racked-up at Wining with the Arts and promise to GIFT the majority of things I bought (all for super reasonable prices). I can't lie though... I'm definitely keeping my Luna Stone earrings and at least one set of small mugs that are the perfect size and shape for sipping my espresso this winter! Find the perfect pair of Luna Stones for your loved one by clicking HERE! My friend, and talented artist/owner of Luna Fiber Artist Co., Kris Grover creates these in Elkader, IA. Do you have a favorite potter in your area? 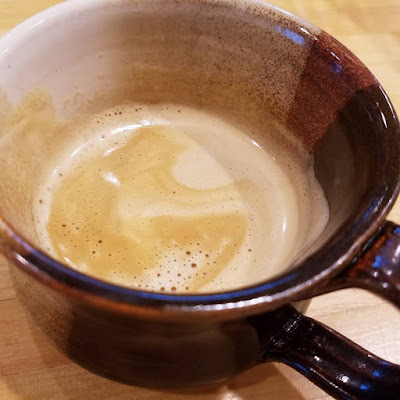 I've collected pottery from NC to Iowa and have several favorites! You can find gorgeous local pottery at the galleries I've listed below. Arthaus in Decorah, IA, ----GREAT CLASSES and Ask about their punch card! FIND great deals on SHOP LOCAL DAY, SAT. NOV 25th ---at most all of these places! Just let them know you heard about it here. I'm sure you can find fantastic art at your local galleries, too! Comment below your favorite galleries so I can add them to my "must see list!" Thanks in advance! Now, speaking of wineries and the spirit of giving... another great gift idea is a nice bottle of wine from one of your local wineries or a bottle of specialty beer from your local brewery! OR What's more fun than giving spirits? Sharing them with a friend! If you're buying for a close friend, why not make them a handmade "gift card" for a winery date or lunch date! You guys go together for a day away with wine/beer and cheer! Food, friends, spirits.. sounds like a BLAST right? I know I would be totally excited for this gift! I know you have plenty of places near you that pop in your head for a FRIEND DATE gift idea, right?! ....and If you're looking to "gift" a night out at THE local hangout in Saint Olaf proper.. it's gonna be the Saint Olaf Tavern. Period. It's not just all we've got, it's absolutely delicious, they often have live music and plenty of small-town charm! It's personal, it's thoughtful, it's priceless! If you're on a budget like me (well I try to be anyway), then a simple offering of your time or talent could be the best gift of all. Do you have a friend who has a child, offer to babysit for an hour or two. (Thanks Micah for this particular idea... I've offered babysitting before, but never as a Christmas gift!) Offer to watch a friend's pet for a weekend so they can go out of town. Offer to ride along to a doctors appointment or offer to help clean house with a friend.These are things you would most often offer to a close friend anyway, but you may just have not thought to do so as a gift before. If someone does offer their time as a gift, then don't be afraid to take them up! Think about your talents, we all have them, maybe it's crocheting, quilting, baking, soap-making! It's such a special gift to receive something someone has created by hand. So never feel like you can't offer yourself, your time or your talent.. it's definitely one of the greatest gifts a person could receive. Have you been shopping for Christmas gifts yet? Are you ready for lights? I am! Oops, we're not through Halloween yet are we! I wrote this post back in October and just now getting to post it, I've obviously been ready for the holidays for awhile! these ideas & recommendations are simply my gift to you! 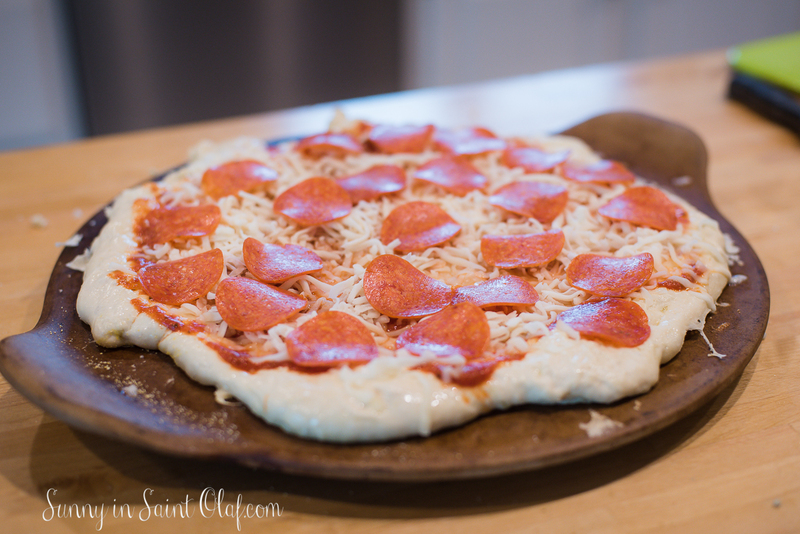 So sometime last week I shared my attempt at a quick homemade yeast pizza crust. It was delicious, but Z and I felt like it was missing something and we weren't sure what. After we finished dinner I did a little research and found many people said there is no getting around the slow when making a yeast crust recipe. In other words, to get that pizzeria taste we would have to make our dough ahead of time, even days before we would use it. With determination to try this theory out, I talked my cousin Kaley into helping me make two different slow yeast crust recipes. 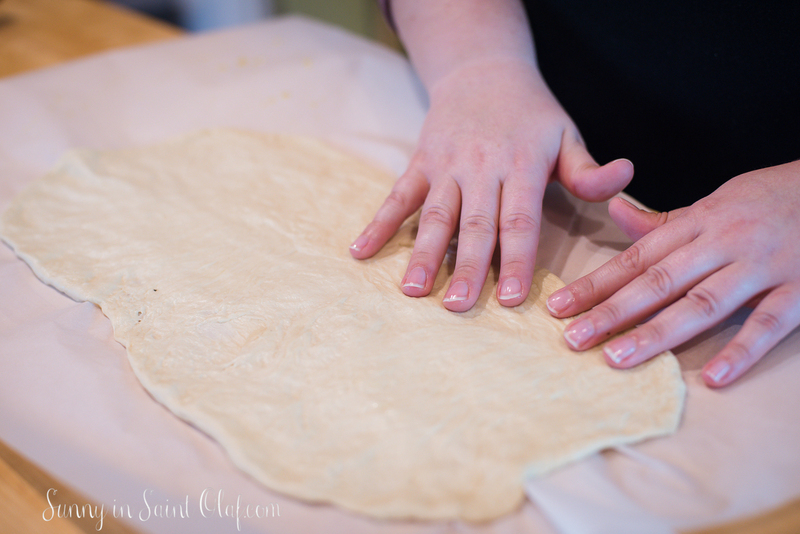 Kaley followed a recipe she found online from BakingSteel called the 72 Hour Pizza Dough and I sort of came up with mine on my own (based off of the many typical recipes I'd seen in my research online). *We know it was supposed to be 72 hours, but we had to cut it to 48 due to our week's schedule. 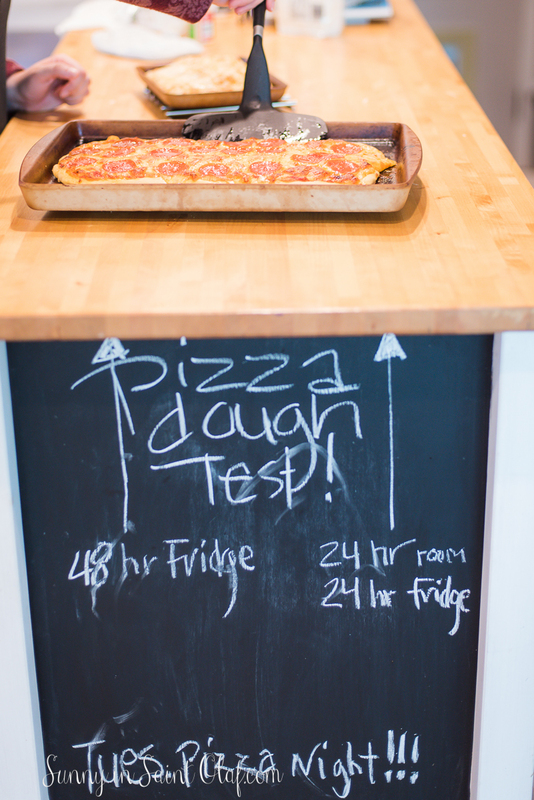 The biggest differences in our recipes were 1. Kaley's crust was 100% bread flour, 2. Kaley's crust sat at room temp for 24 hrs. and then in the fridge for another 24hrs., 3. 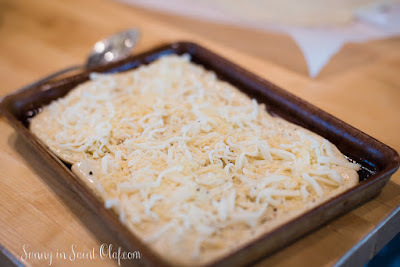 My crust had mostly bread flour with a little all purpose flour, 4.My crust had a couple of seasonings in the crust, 5. My crust was put directly into the fridge for 48 hours, and lastly, 6. 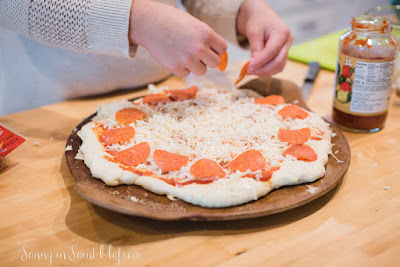 Kaley's crust was divided into 3 portions and placed into the fridge, where as I kept mine all in one large ball of dough. When it was time to pull out our crusts, neither one of us could believe how tricky it was to stretch the dough into shape. 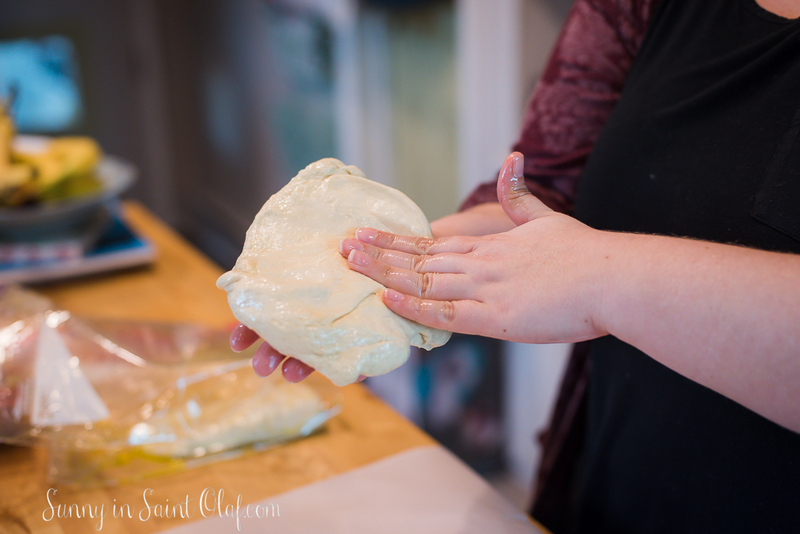 I mean, there was no fancy dough throwing happening in our kitchen. 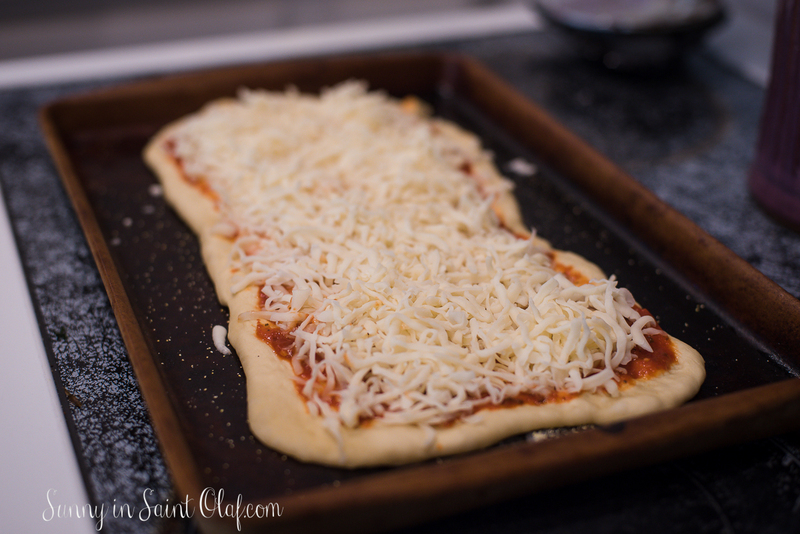 #Blindsided, we thought frozen pizza was starting to look better and better at this point! 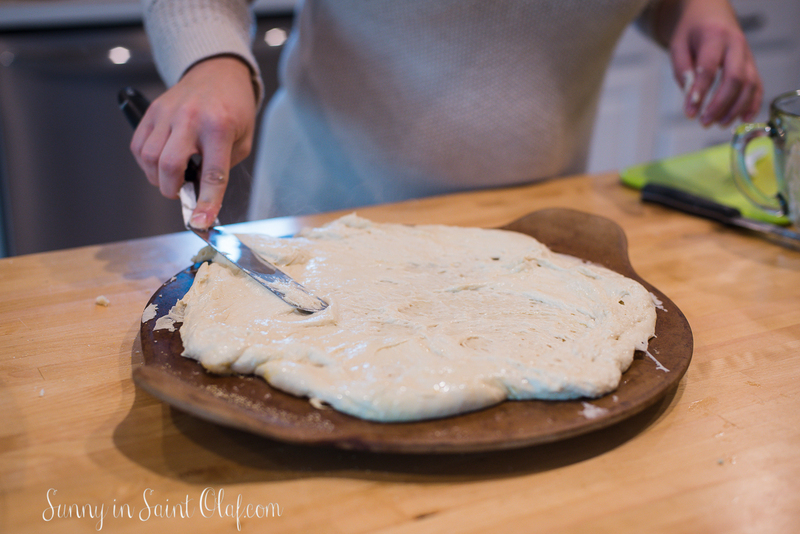 I had no shame and used a cake knife to spread my giant blob of crust onto the round pizza stone. Okay, I wasn't super proud of this tactic. 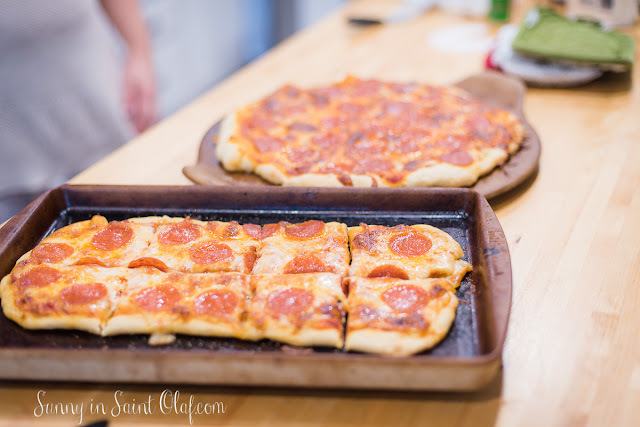 It wasn't easy, but we got it done and both pizzas looked like the real deal! After the pizzas came out of the oven we took a couple of photographs to document our pizza trial and proceeded to taste. Both crusts were great! I will say that I preferred Kaley's crust (BakingSteel 72 Hour Pizza Dough) that had been at room temp for the first 24 hours. You could really taste a yeasty pizza dough flavor and I could definitely tell it had been missing from my quick crust recipe the previous week. Z and K thought my pizza was equally good but just very different without as much of the yeasty flavor. In summary, YES! 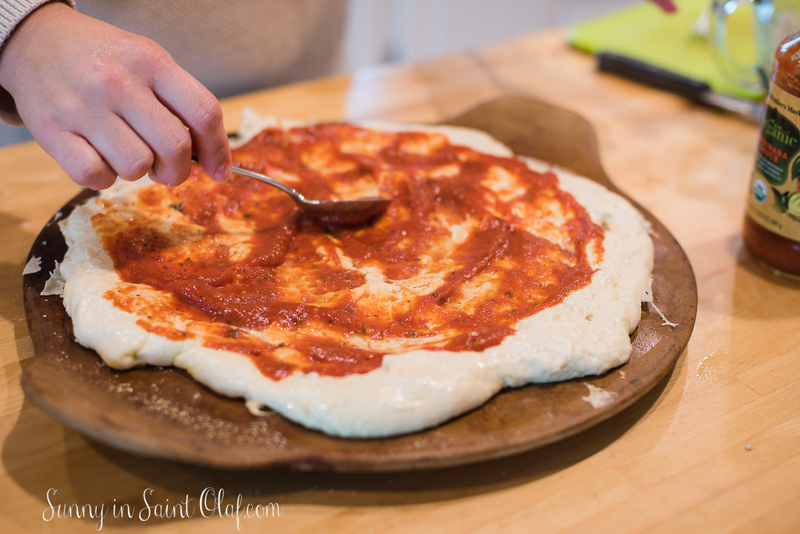 Slow rise pizza dough gives you more of a pizzeria flavor. 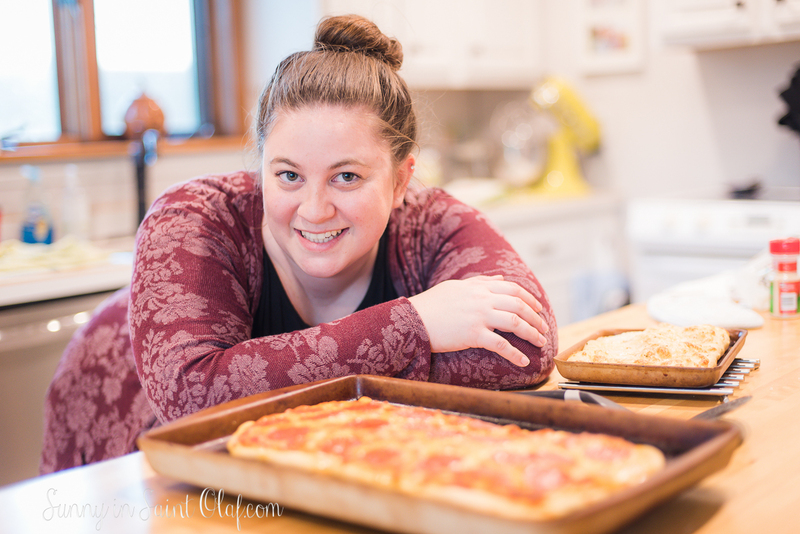 I would definitely try homemade yeast crust again. 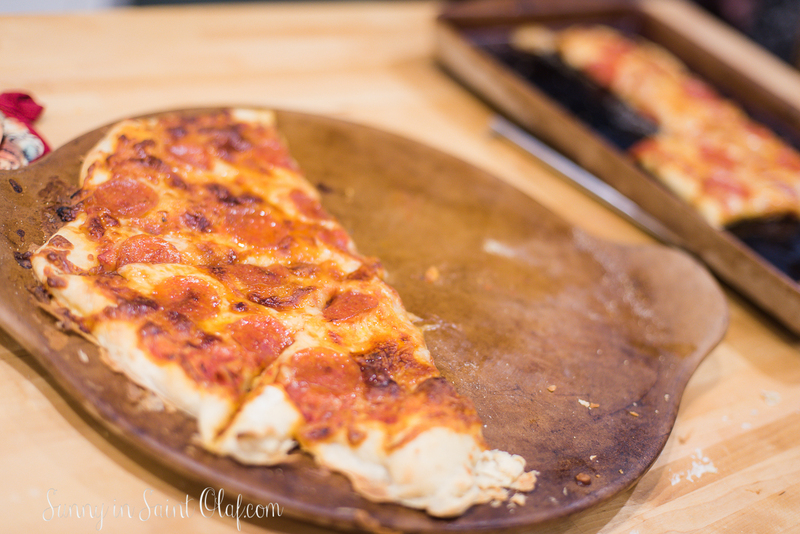 I would probably go with the recipe Kaley used, but I would not hesitate to whip out the quick rise yeast crust recipe from last weeks trial either. In fact, I think any of the crusts would only improve with more experimentation. With all that said, it still doesn't beat going out or picking up at our favorite pizza place! 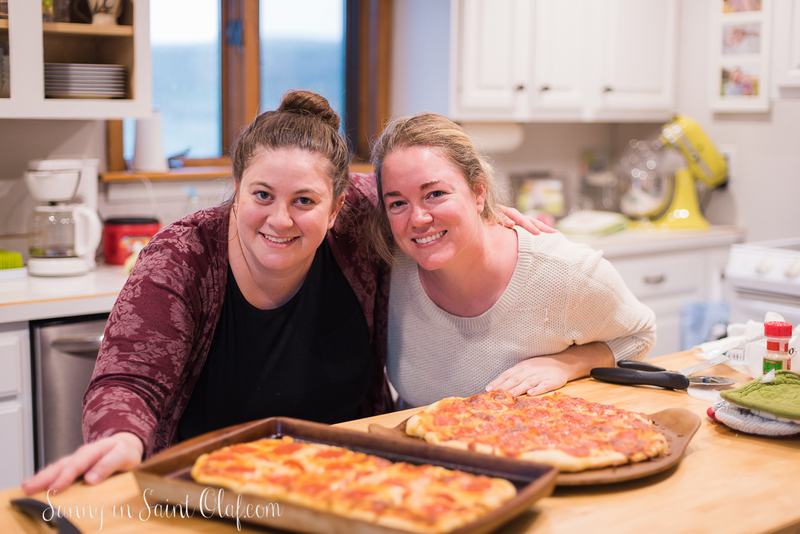 SUNNY FUN FACT--- Would you believe that we don't have pizza delivery in Saint Olaf!? To be honest it didn't seem all that odd to me at first when we moved out here. Growing up in NC my family lived just between delivery zones, so we rarely got pizza delivered there either. It first dawned on me that our lack of delivery at the farm was pretty crazy when one of my best friends (who happened to be pregnant at the time and living off pizza delivery) asked me if we still got delivery during Iowa snow storms. She could not comprehend just how small "small-town" Saint Olaf really is (that is until she visited)! Haha, that conversation is still funny to me today! Yum! 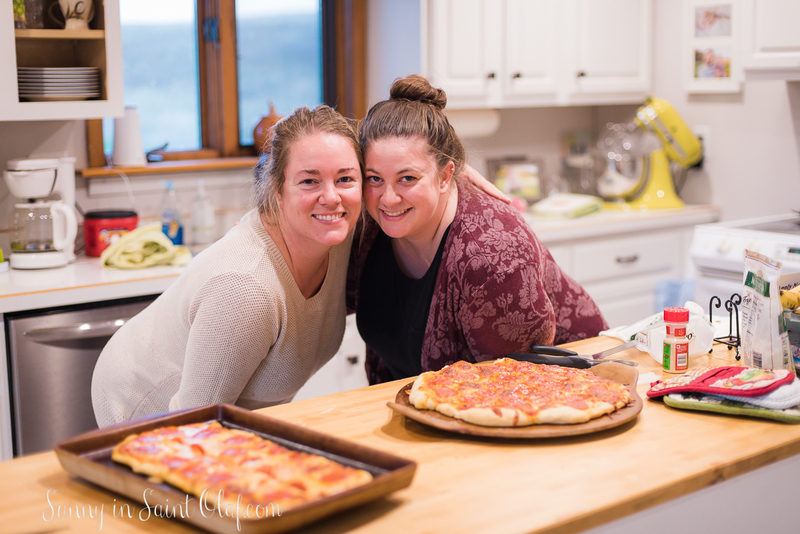 Again, I cannot thank Kaley Danielle for coming all the way to the farm to visit and for helping me with a fun-filled week of experimental projects and blog posts! Kaley you ROCK! AND ... for all of you who miss her commentary already, she's working on a blog of her very own! 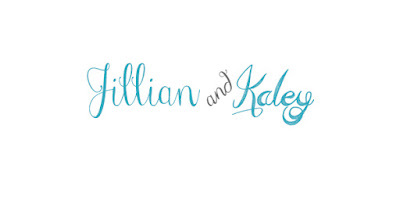 I'll keep you posted when she has finalized her blog name and has it up and running! 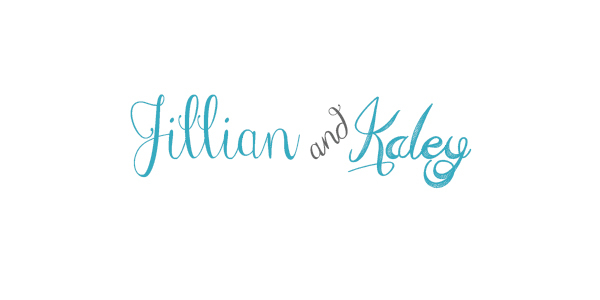 One last sign-out as Jillian and Kaley, the duet! We figured we might as well make something fun and seasonal out of our trip to the bakery! 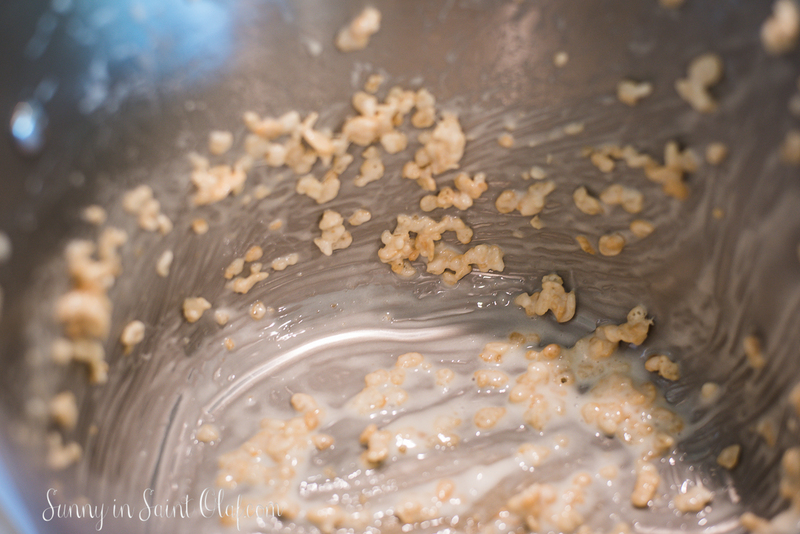 If we're being completely candid, Kaley and I had more than Rice Krispies when she visited this week. Obviously, we had to make a trip to our local bakery! Pedretti's is famous in northeast Iowa and now in the Carolinas; because, I'm sure Kaley is telling everyone about the delicious "doughnut tasting" plate we created. Since I get to go whenever I want, I let Kaley choose anything she wanted and then we sliced them up and shared them. My go-to has always been a chocolate-covered, cream-filled doughnut and these are seriously the BEST. I have broadened my horizons at Pedretti's though. I pretty much love anything and everything they bake--- not pictured are their enormous glazed croissants, which possibly now tie my love of the chocolate-covered, cream-filled. If you want a croissant you have to get there early- they sell out quick! YUM! 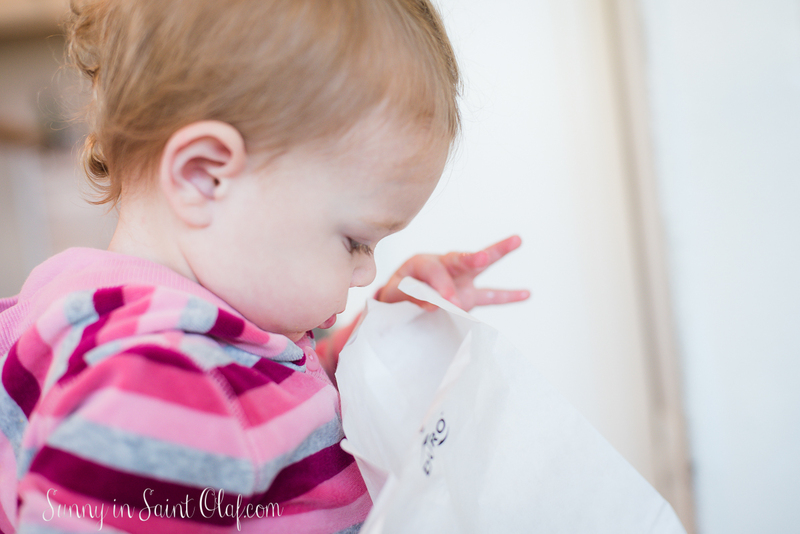 Even Emmajean knows what comes home in the white bag! Everything in moderation, except when on a stay-cation with family or friends in town! What's your favorite sweet treat!? 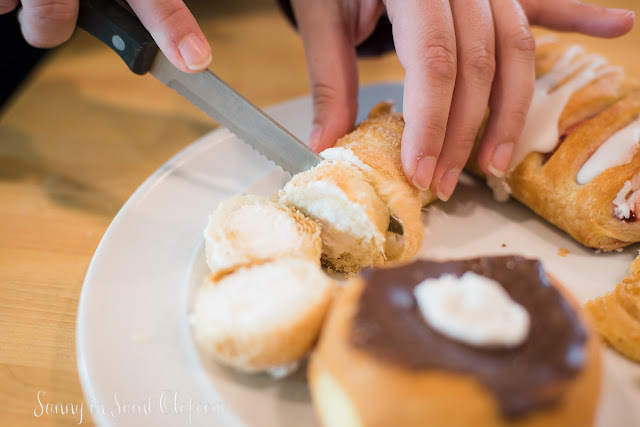 Have you been to Pedretti's --Do you have a favorite bakery? Are you worried about my sweet-tooth, yet?! The trick is keeping your fingers clean, while enjoying this gooey treat! Since I didn't have much experience in the R.K.T. department, I let Kaley take the lead on this activity, so I'll let her take it from here! 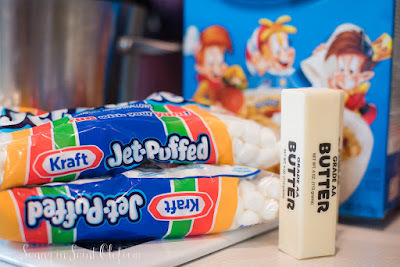 You know we had to do some kind of treat making while I was in Iowa! 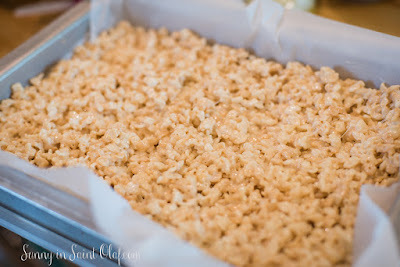 Can you believe Jillian barely remembers making homemade Rice Krispie Treats??? I know she'll be adding this to her repertoire now. 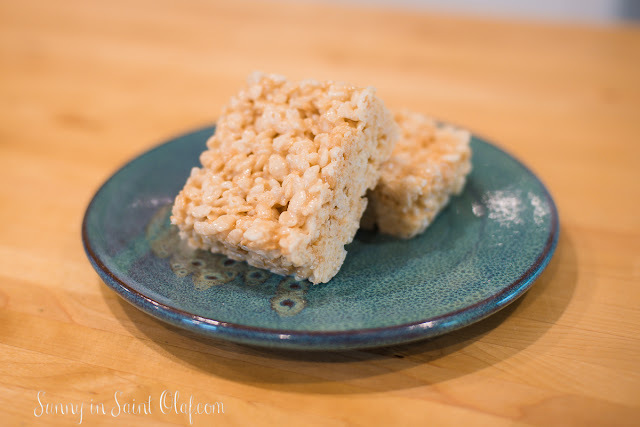 They are too easy and too delicious! Melt 12 tablespoon(a stick and a half) of real, salted, sweet cream butter in a pot on medium heat. 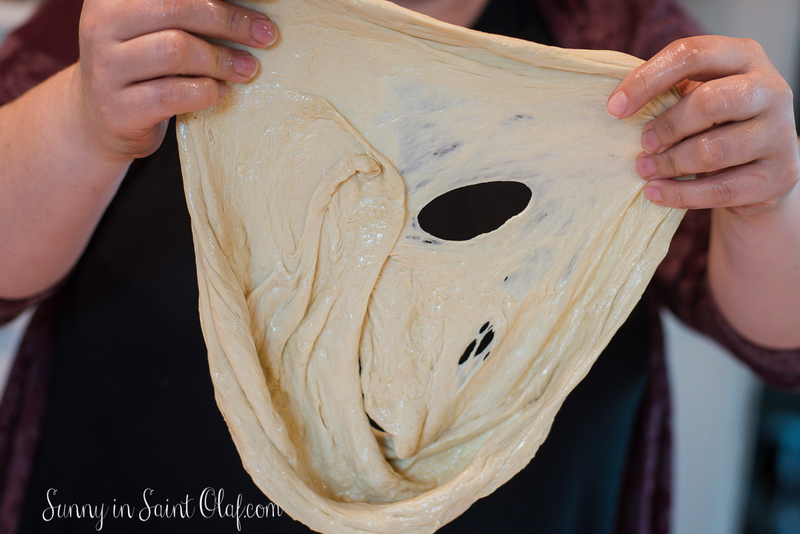 Now, melt it gently. 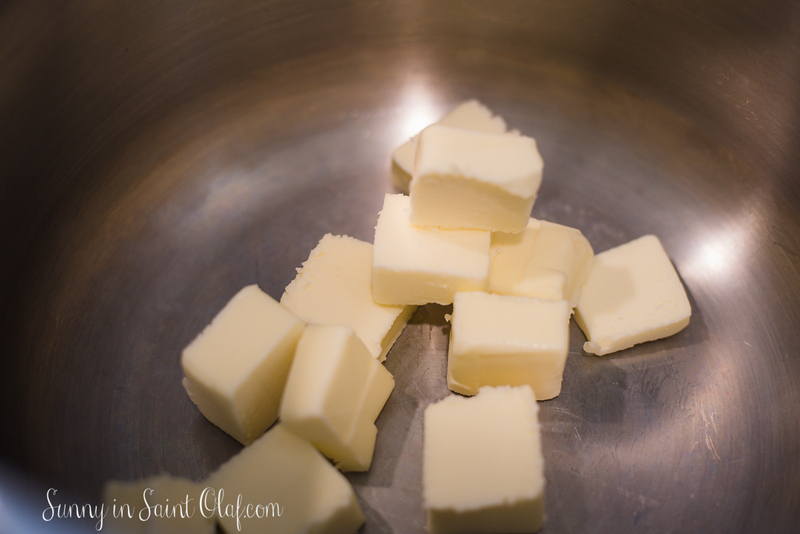 We don't want browned butter here. Don't let it burn. 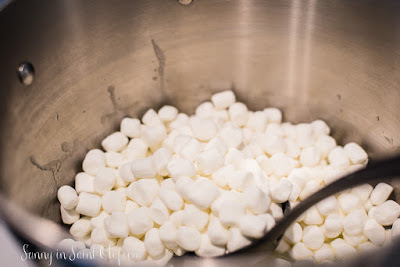 Add 2- 10 oz bags of mini marshmallows to your big pot of melted butter. You can turn your heat up a bit. Now, melt these gently. We don't want burnt marshmallows. Keep stirring until you have a smooth buttery marshmallow cream. 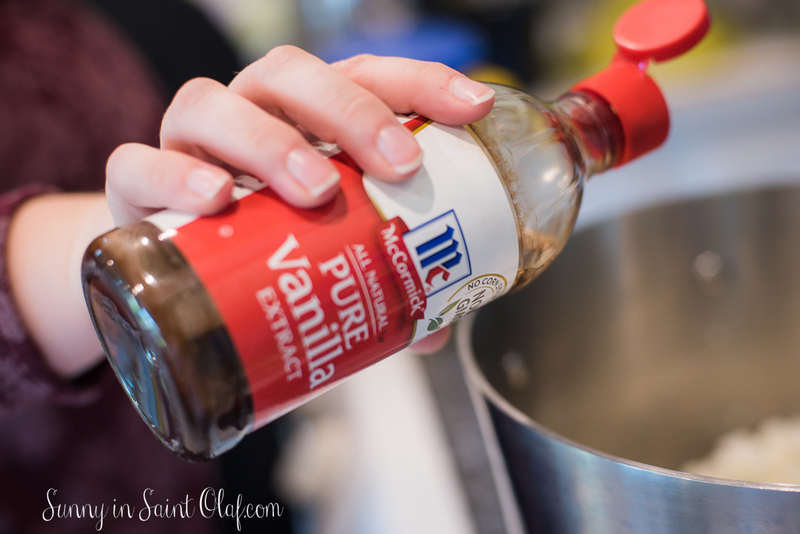 Stir in about a teaspoon of vanilla extract. 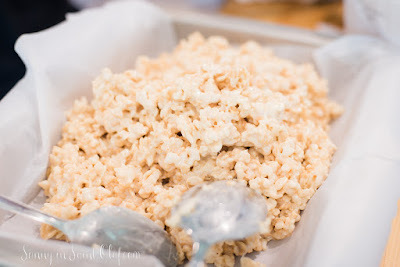 Add your 7 cups of Rice Krispy cereal to your marshmallow mixture immediately. You wanna do this while it's nice and hot so you can get it mixed up evenly. 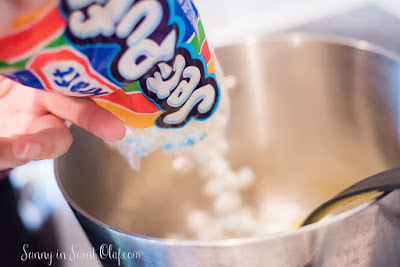 Stir until all Rice Krispies are incorporated into marshmallow mixture. Pour your mixture into a 9x13 pan lined with parchment paper. Spread it out evenly. You can grease a pan with butter if you don't have any parchment. 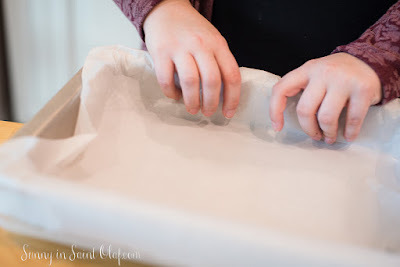 Now dampen some freshly washed fingers (or a non-stick spatula) with a little water and gently pat down on top to smooth them out. 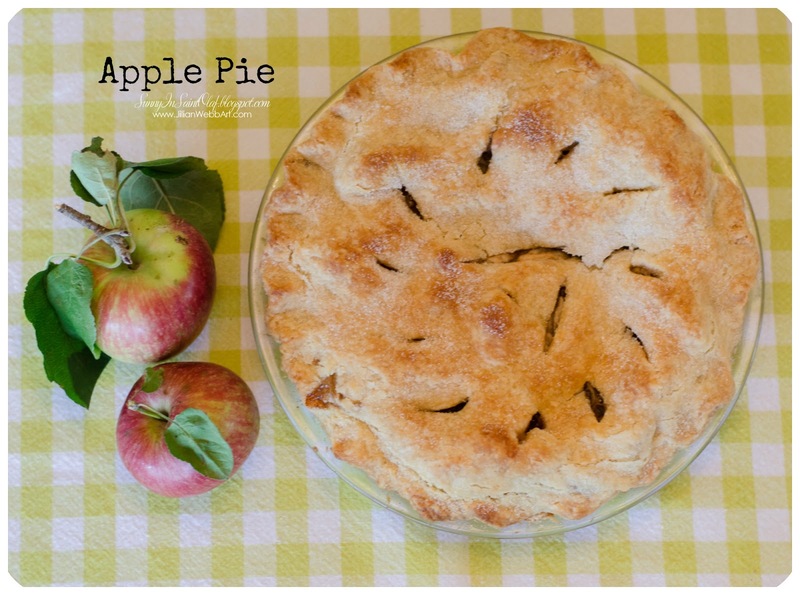 Kaley, thanks for sharing this blog with me and for indulging my sweet-tooth! 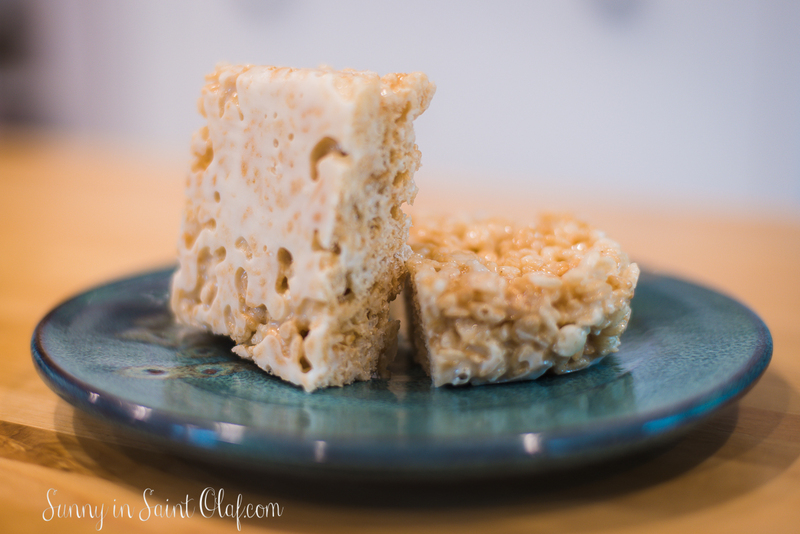 My favorite thing about homemade Rice Krispie Treats is how extra fresh and gooey they are! Just look at the bottom of that gooey square treat! We never have many trick-or-treaters at the farm. I may just make-up a pan of these sweet treats to have on hand in case someone decides to knock on our door this Halloween! The community we live in still participates in trick-or-treating. 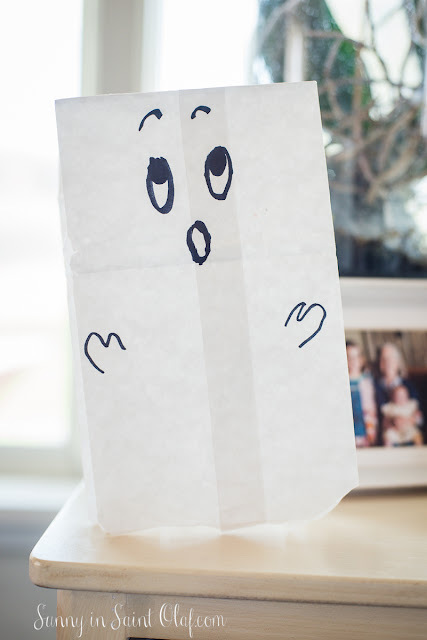 Do your kids hit up a big neighborhood or do you guys do trunk-or-treat with your church or other business? The last couple of weeks I've been really, really, REALLY busy with everything under the sun. Most of you guys know, but I'm a full-time mom and wife, an artist and photographer, and a blogger. Life is ALWAYS busy, but lately I've been so swamped that I have to just take a minute to give a huge THANK YOU to my husband for being my rock and support through it all! I am so lucky to have a partner who believes in me, supports my many endeavors, encourages me, and steps up to the plate to help with everything! Fall is probably the busiest season for my JWebb Photography business (timing is everything when dealing with photos, light, and falling leaves). Zach has taken care of our little one on numerous evenings while I was out with photo sessions. He's gone to bed alone when I've stayed up to edit images or work on blog posts. He is usually one of the first to "like" when I post the photo previews on facebook or share my blog. He is my biggest fan and the best teammate. I'm so lucky to have a husband who literally comes home from a full day of work ready to tackle anything. He helps with dinner, changes diapers, tag-teams E's bath-time, helps clean the kitchen, fixes things, and he is ultimately the one who always gets Emmajean to sleep in her crib at night. When I'm utterly exhausted from being up late working ('cause who can get anything done during the day with a little one), and from keeping our rambunctious, totally-fearless toddler entertained, fed, and safe all day, Zach is my rock. It is a blessing to have a partner who not only helps with EVERYTHING, but who completely acknowledges and appreciates all that I do, too. Zach, you keep me us going and I am so grateful to do life with you!